Christmas has passed and now we are preparing for New Years Eve, but in the meantime some crafting doesn't hurt anyone. Today I finally finished the journal cover that I had begun earlier this year and I am very pleased with it so I decided to share it with you. Sorry about the bad pictures. For the hearts I used stenciles and some modeling paste and let it dry in shape. 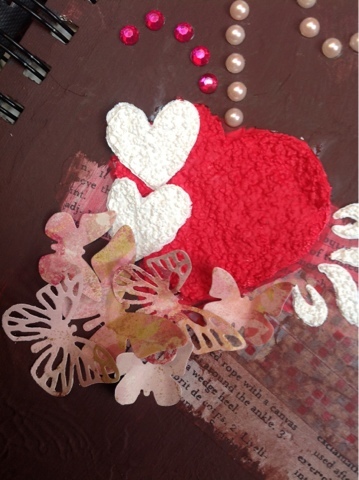 The butterflies were cut with the Sizzix butterfly dies. I love this set of dies. I just bought it and I am very anctious to use it in other projects too. 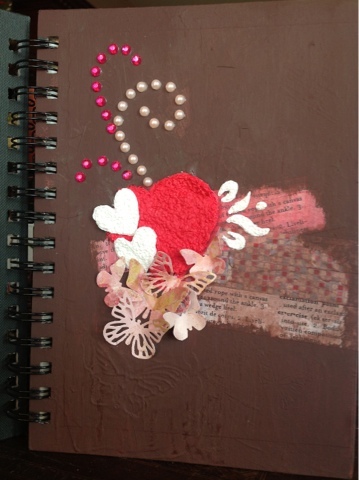 I am entering this mixed media cover to Case Study Challenge #122. Woow! It's the third post in a row! Can you believe it? I hope I can keep up with this so please keep fingers crossed. For today I have a great assignment to do at home: to find a spot in my craft room where to install the "picture corner". Don't get excited for me, I will improvise a "photo tent" of my own: some white cardboard and a couple of lamps with cold light. And of course I should have the tripod near by. If I will manage to find such a spot and "install" it, I will show pictures of it. Till than, bear with me with this low quality pictures. I've told you I had a creative weekend ;) Here is the card I've created for MFTWSC99. I used their layout but unfortunately I don't have any of their die-namics. The stamps are from Snowy Days stamp set from There She Goes. 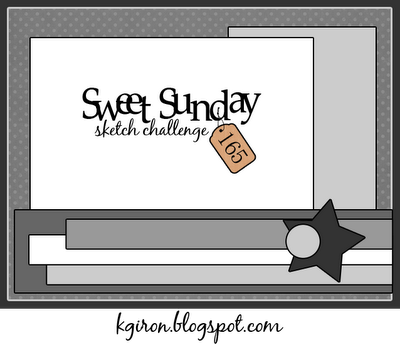 Yesterday I was surfing through the internet and I found out about this challenge: November Gallery Challenge over at papercraftsconnection. Their challenge was about washi tape and I thought I give it a try. During this year I've purchased some washi tape that I didn't use till now. 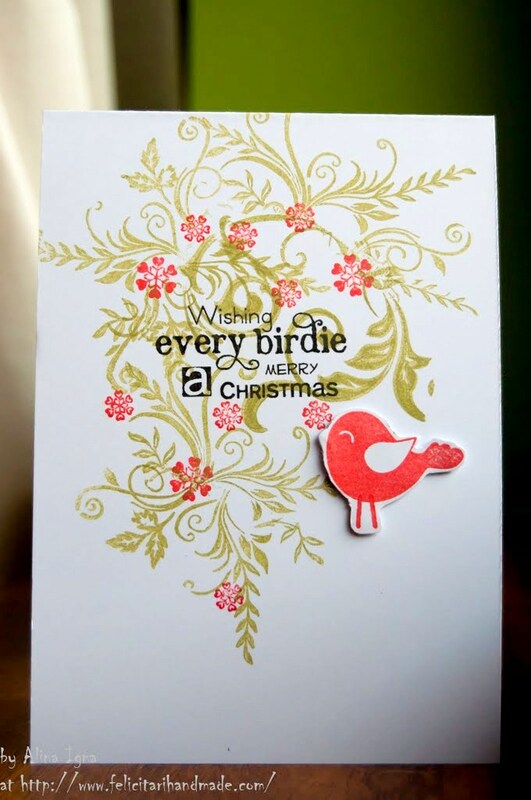 The sentiment and the bird are from Birdie Wishes stamp set from There She Goes. 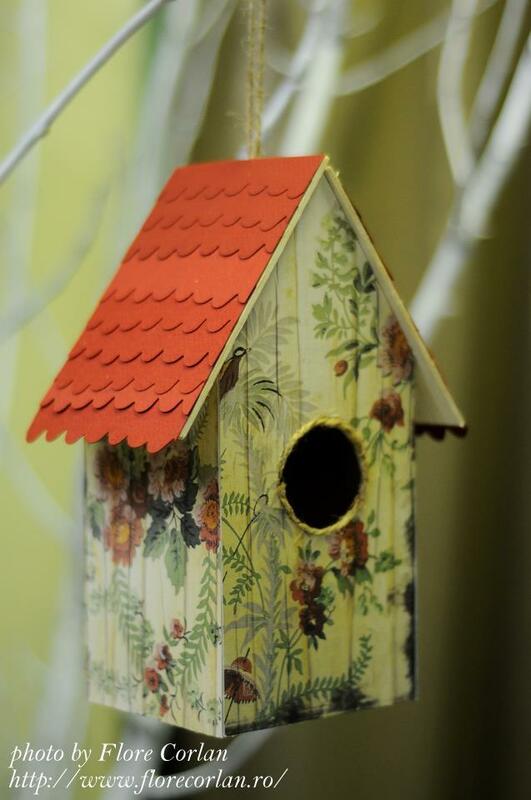 And the birdie house is a die from Sizzix. Hello hello! I'm kind of back, or at least I hope so. This past weekend I was in a crafting mood so I created some new cards. I also spent the Saturday painting some metal boxes and an old small cabinet which I will show you later on this week. Today I will present you a card that I made for Case Study Challenge #118. I love the inspiration card so here is my take. I used 4 different sets of stamps for this card. The sentiment and the bird are from Birdie Wishes stamp set from There She Goes Clear Stamps, and also the snowflakes are from the same company but different stamp set: Snowy Days. 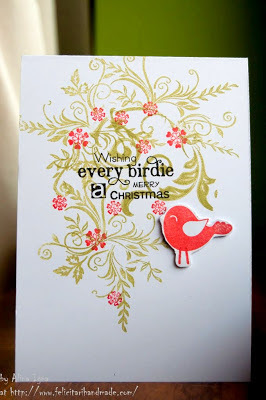 On the card there are also 2 different kinds of flourishes but I don't know the name of the stamps sets they are from. I wish you a good day and a great week! Ok...so I am a bad blogger...I know it. And I am very sorry for that...but I have some updates for you. I am still alive! But this past few months there were some changes in my life. First of all I changed my job so now I am still trying to accommodate with this: new colleagues, new tasks, new schedule. But it's all for the best ;). The second news, bigger than the first one is that I got engaged! I will marry next year so I have a wedding to plan! For this one please keep fingers crossed because I really really want the party to be great! If you have advices please let me know! I will keep you informed on what is happening on this field. Till next post... have a wonderful autumn! Yup... loooong loooong time. I know and I am sorry for that, but the summer is killing me. Don't understand me wrong...I love summer... but it is tooo hot and that I don't like. And I am struggling to keep the flowers alive so I don't have much time to craft. And the truth to be told I not so in the mood for that...and that is sad. But last night I got the power to do a card. It seems that it is in the trends to do a card with hexagons so I had to try it also...and it is quite fun. I enjoyed makeing it. Unfortunately the pictures are not so good. I used the Bee happy stamp set from There She Goes. I made this card a while ago for a sketch challenge but unfortunately I didn't get to post it. And since it has been quiet around here I thought it would be the right moment. I made this card using the "A drink a day" stamp set from There She Goes Clear stamps. I have this stamp set for a while now but the funny thing is I never used this particular stamp till now. The design papers are from Travel collection from Glitz. 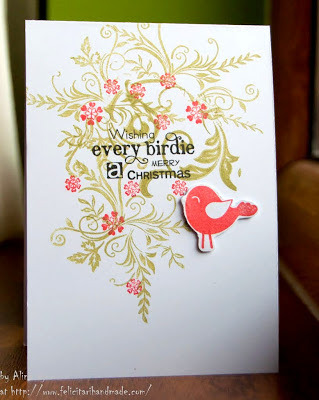 Since I discovered Moxie Fab World I am in love with their challenges and the gorgeous inspiration cards that they have. Unfortunately I don't have much time for creating these days and the truth is I don't feel very inspired to create since there are so many things to do around the house. Our current big project is to arrange the garden before we go in the business trip again. Yap...we will fly to Denmark in 18th of June so there isn't that much time left to do all what we wanna do around here. Anyhow...at the Moxie Fab World there is another challenge going on and I wanted to give it a try: The Gingham Challenge. Actually it was very hard for me to find some gingham pattern around... but than I was very happy to find this ribbon that I always moved from a place to another because I never found the right moment to use it. The ribbon is wired so it was very easy to make some kind ruffles with it. The diecuts are from Tilda company and I think the paper is from My Minds Eye. Do you like it? Well... I do (*wink*). 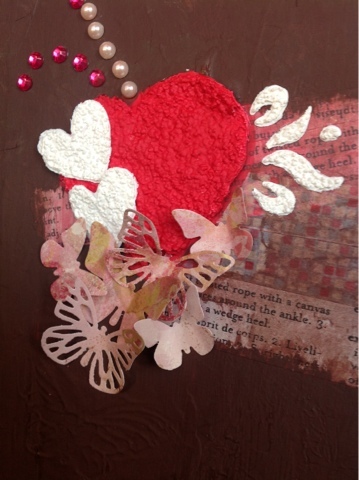 The inspiration for this card comes from the Romance Card by Els Brige. I loved her card the minute I saw it so I told myself I have to create something for the Spatter Technique Challenge that is hosted by the Moxie Fab World. For my card I used some washi tape and some paper roses that I bought while in Denmark. Actually I am not really sure it is washi tape... but it is sort of like that. I loved the design of these two tapes and I think they go well together. The sentiment is from Layers of Color Art Stamps. This perfect photos are made by a very dearly friend of mine Flore. You can see her creations here. 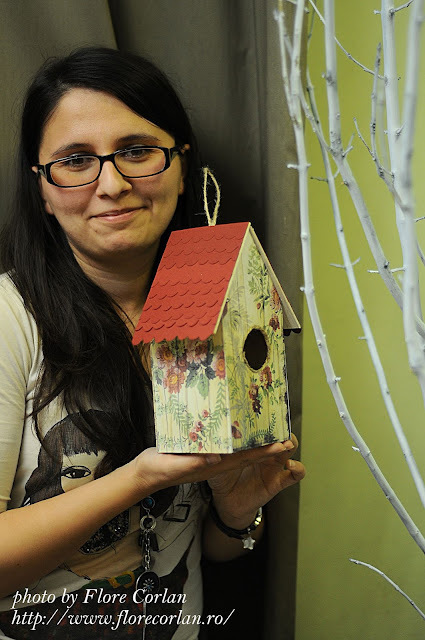 The birdhouse is very easy to make. Unfortunately I don't have a step by step tutorial for it. I am planning to make another bird house so I promise I will take some step by step photos and share them with you. Oh...and since my bird house has plenty of flowers on it (in the paper I mean *wink*) I am entering it to the 17th challenge over Lia Stampz blog. By the time you will read this post I will probably be somewhere in the air between Copenhagen and Timisoara or somewhere in the airport checking the stores (*wink*). Yes... you guessed it right! I'm flying home today! Yuhuu! I just wanted to schedule this post to wish you a very happy and relaxing weekend. I am sure mine will be relaxing. And since I am here I will also share with you this card I made with the beautiful sentiment from There She Goes clear stamps. I went for a clean and simple look to enhance the beauty of this sentiment. The card that I will share with you today is a card that I made several weeks ago just for fun. I had just bought the paper that I used in it, and the stamp and I just wanted to make something with it. I love the colorful background paper and the buttons. Sorry for the bad image but I had to light it up a little bit because it was more darker than I wanted. And so I created a card that I can use for any occasion! Already 9 posts in May? And were only in 15th ... woow... that's a new record for me. And I am very proud of myself for that. I hope I can achieve the target of 1 card per day... so keep fingers crossed and bake some cards babe (*wink*). Well... but how can someone not post since there are so many reasons and birthdays to celebrate this month!!! Today is another birthday celebrated! It's my boyfriends birthday! Happy birthday sweety! Unfortunately, being far away from home, we will not celebrate it in a grand manner. Just some beers with some coworkers and maybe a movie night or so. We will see. But for now I am here today to show you the card I prepared for him. I was very happy the other day when I found these little bike paper clips. And since he likes biking (well...we both do) I thought it's a very good idea to use them in my card for him. I used for it the Deconstructed sketch number 51. Hope you had a great time at the MOABH 2012 blog hop yesterday. If you missed it here is a link to my post. This weekend was Mother's Day weekend celebrated in the USA. With all the Mother's Day cards that were posted all over the blog land I got into the spirit again and created a card thinking of my mother. In Romania we celebrated this special holiday on 8th of March but I think I can get used to celebrate it twice in the same year... or even better... every weekend in the year ;). Now on to my card... I cased the beautiful card shown as inspiration over at CASE Study Challenge blog. It is the first time when I tried to stamp an image with two different colors and I loved how it turned out. On the stamped image I layered a sheet of transparent paper.The label is cut with Spellbinder labels dies and he sentiment is Layers Of Color. 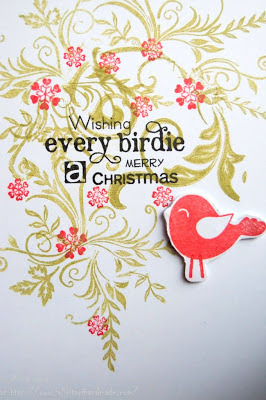 I was very happy to find this sentiment that suits just perfect with my card. Welcome to the 3rd annual Mother of All Blog Hops event sponsored by There She Goes Clear Stamps! First of all thank you for joining in the fun! Today is the second day from the big event in which we (customers and trendsetters!) will be featuring some of out favorite There She Goes Clear Stamp sets! Not only that, but we're also going to give YOU a chance to win some fabulous prizes! To find out how, please go to the There She Goes' Blog and read the simple instructions. 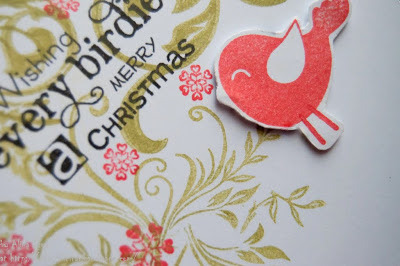 Today I am the happy customer that will feature Birdie Wishes stamp set. I love the stamps that it contains and also the sweet sentiments. 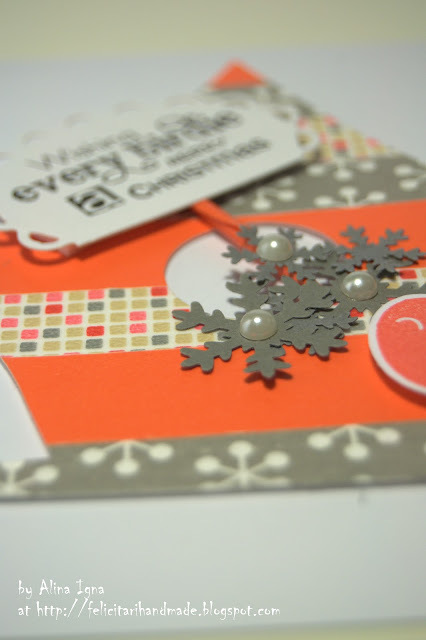 And the very good part is that you can use it not only for *happy birthday* cards but also for *Christmas* cards! Today I will share with you both kinds of cards. Now on to my cards. Let me present you firs the card that I made for a special birthday that is approaching. I am not going to say which one because that person could read my post and I will spoil all the fun (*wink*). Aren't those birdies sweet? I think they are so I decided also to use them for a background on a little note card. I could use this one to let special messages to my boyfriend, don't you think? Ok... now on to my third card of today! I thought to my self I have to let you see also the *Christmas* part of this lovely stamp set. So even if I am not in a *Christmas* cards mood, I did my best to make this one here for you today. I hope you enjoyed visiting me today and now please click on the InLinks below and follow it to the next blog! Have fun in the hop! I am just popping in to let you know that the mother of all Blog Hops has officially started! Today is the day one! Youhuuu! If you haven't yet seen the beautiful creations that are shared today using There She Goes Clear Stamps, than you should really get started! You can start your hop here. And don't forget... tomorrow is my turn to show you some cards! I really really have to let you know what's happening over at the Webster's pages blog! They released today some stamps and a cute mini album! It's awesome! Go there and learn how you can win! Did you hear the news? Websters Pages launched on Monday their new collection Girl Land. You have to see it! It is gorgeous! And you can win the entire collection! So go to their blog to find out how! Are you having a good day? Well... my day started in a nice manner. The sun woke me up around 7 o'clock. My boyfriend prepared the breakfast meanwhile I was preparing for a new working day. Nice... don't you think? So I decided to share with you today a cheerful card that I made several days ago. The stamp used is from There She Goes Clear stamps. I love this sentiment so much! Is so fun and can be used for any occasion! Oh... and since we are taking about There She Goes... don't forget to come by on Saturday (13'th of May) for much more inspiration using TSG stamps. I know I know... today is the 6th of may but never the less I have to right about yesterday so the title of the post will be 5th of May. I am a little bit late with this post because yesterday I was at work and I didn't get to finish the cards till late at night. Why do I had to do that? Well.. because yesterday two close persons celebrated their birthday. One was Corina, one of my best friends and the other one was Tibi, my step dad. Unfortunately, I didn't get to take part in any of the celebrations because yeah...I am still in Copenhagen. Now let's see the two cards I prepared for them. Let me tell you from the beginning that both of the cards are using the deconstructed sketch number 50. This first card is for Corina. I used some newly purchased paper from Tilda. The die cut is from the same collection. I think the collection is called Garden. This second card is for my step dad. 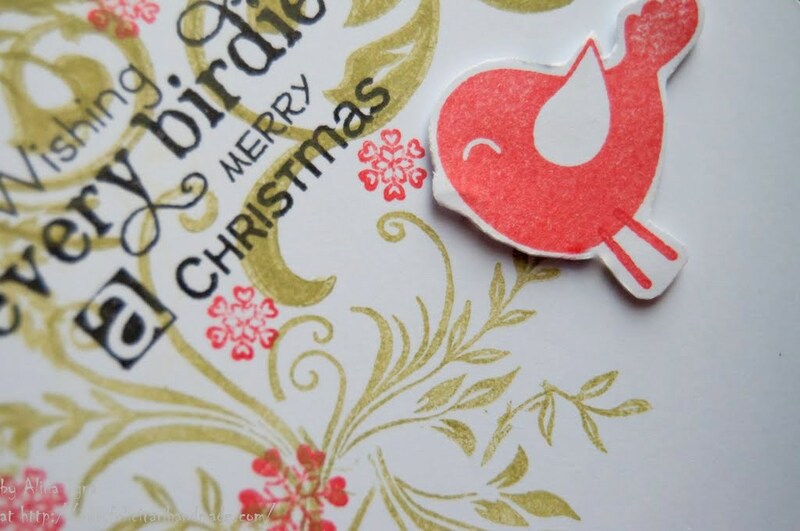 The sentiment is from There She Goes Clear Stamps : Birdie Wishes stamp set. A new edition of Mother Of All Blog Hops is approaching so stay tuned and read the rules. 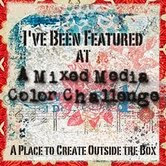 I will be taking part at this awesome blog hop as a participant. 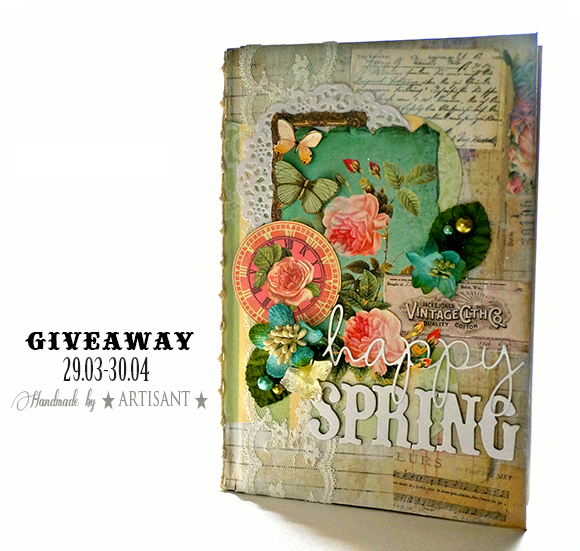 I am very excited about this blog hop. We will showcase each and every stamp set that to be found in the There She Goes Clear Stamp Store. I won't tell you which of the lovely stamp sets I will be showcasing so you really should come back in 12 & 13th of May to join in the fun and the awesome cards/projects that will be posted by all the participants. I took part last year also and it was so much fun, so I hope to see you at the MOABH 2012 edition! Today is my dear friend and colleague Anda's Birthday and I prepared a surprise card for her. Unfortunately she won't be receiving it till after I will get back from Denmark, but at least she can see that I didn't forget about her birthday ;) . I used this week's deconstructed sketch for it. I love this sketch... it is so versatile! And the girl with the muffin is from Sparkle Creations. I find this little girl very cute. I paper pieced her dress with some leftovers from some My Minds Eye - Miss Caroline collection. In fact the hole design paper is from this pretty collection. 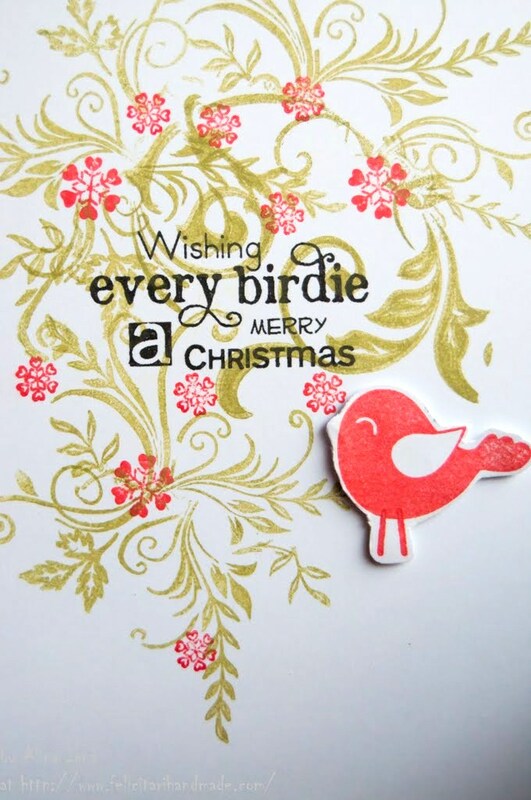 And last but not least, the sentiment is from There She Goes - Birdie Wishes. As I promised you yesterday, I am back with some impressions to share from the lovely Copenhagen. Today was a somehow sunny day. It was sunny when we left the apartment, but somewhere on the way from the apartment to the Amalienborg Palace the sun just vanished. By the time we arrived at the Rosenborg Castle, which was the second thing to visit on the list for today, the sky was cloudy and the sun was not to seen till the evening. The good thing though was that we decided to start our day with a coffee. The weather was lovely during that time. After the coffee we went to the Amalienborg Palace to see the changing of the guards. I have seen the changing of the guards in Stockholm two years ago and I was fascinated by that because they had a fanfare, guards on horses and a very beautiful choreography. If you ever go to Stockholm from April to October, this is a must see, you will love it. After my big disappointment we head to Reosenborg Castle. I like the castle's garden. It is very beautiful when it is sunny...now it was not sunny...but still lovely to visit. And while we were sitting on a bench resting our feet somebody known approached us. We meet with an old friend of mine here in Copenhagen, which are the odds? I haven't seen him since summer of 2007 and haven't spoken to him since September... and there he was... in the Rosenborg garden. It is lovely to meet known people in totally strange cities. We spent the rest of the day with him... wandering through the streets of this capital city. After watching this photos I bet you would expect to see some card sharing too. Well...I have prepared a card for you using this week's deconstructed sketch. Hope you like it.